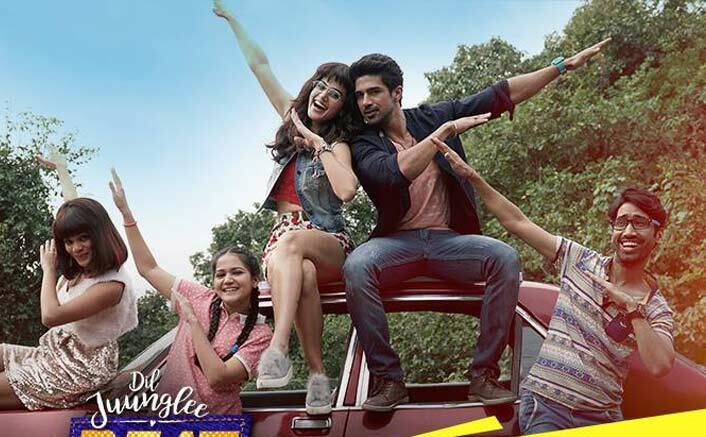 Last month has been very eventful for the makers of Dil Juunglee who released their official trailer of the film along with a song which would go on to become the party anthem of 2018. Now here is another fun song from the film – Beat Juunglee enjoy it! Music by Tanishk Bagchi, this song sees Taapsee in a completely new light. Sung by Armaan Malik along with Prakriti K, the music along with the visuals perfectly complements each other, to make it a peppy romantic number. The song sees the sizzling chemistry of Taapse Pannu and Saqib Saleem, whose pairing looks very refreshing. Jackky Bhagnani is producing the film under his home production. Presented by Pooja Entertainment and Dinesh Jain, this Vashu Bhagnani’s film is produced by Deepshika Deshmukh, Jackky Bhagnani, Mudit Jain and Mayank Jain. Dil Juunglee is slated to release on 16th of February, 2018. On the work front, Taapsee recently wrapped up the shoot of Sandeep Singh biopic, Soorma which also stars Diljit Dosanjh and Angad Bedi. Also, she tasted the major success of Judwaa 2 with her co-stars Varun Dhawan and Jacqueline Fernandez. Saqib Saleem is currently shooting for the third franchise of Race. The shooting of the film is in full swing. Directed by Remo D’Souza, Race 3 stars Salman Khan, Jacqueline Fernandez, Bobby Deol and Daisy Shah. The film will be released on Eid 2018.